Liberia, one of Africa’s most positively uneventful countries with regard to breach of Digital Rights recently elected a new president to succeed the incumbent president, Ellen Johnson Sirleaf. The country has a population of 4,613,820 people, according to a 2017 census. It has an Internet penetration rate of 7.32% but has successfully avoided the infamous limelight of Digital Rights violation which many of its fellow African nations so lavishly bask under. Not only has the country avoided governmental oppression of human rights online, but has also taken active steps in creating a legal structure to advance these rights. For instance, in July 2017, President Ellen Johnson Sirleaf tabled a Bill to decriminalise press offences in order to remove bottlenecks to the practice of journalism and free speech. This was a huge and monumental moment in the history of Digital Rights in Africa, as it exhibited a genuine quest for modern democracy and with the first peaceful transition in Liberia since 1944 (with the exception of the 1971 transition as a result of the death of President Willaim Tubman), Liberia has made a huge statement of its desires to uphold Democratic ideals. 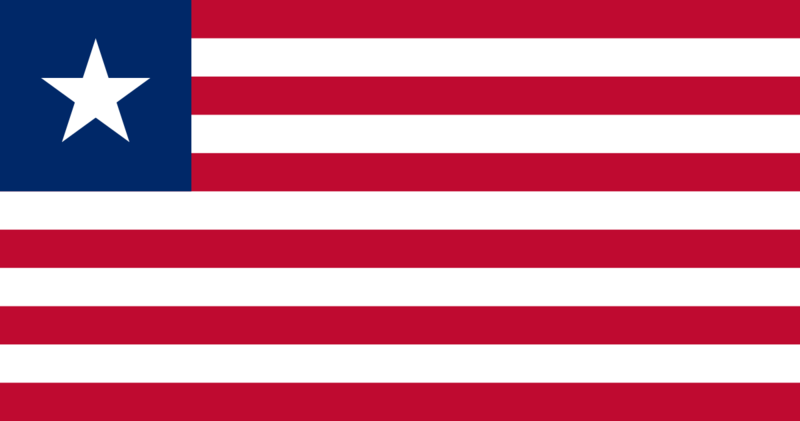 Liberia is legitimately a shining example and a beacon of light for other African countries to emulate and it is believed that her dedication to the development of Digital Rights and Freedoms will yield great and tangible returns in the overall development of the country. This is largely because the country has adopted the right attitude to foster an environment conducive to innovation, citizen feedback and mutual respect. It is in this spirit of commendation and praise that Paradigm Initiative calls for further actions to be taken by the newly sworn-in president, Mr. George Weah as he sets the ball rolling. We call on the new President and the members of the Liberian legislature to see to the passage of the Bill presented by the immediate past President Sirleaf aimed at ensuring a structured continuity and recognition of the freedom of expression. Secondly, we would like to draw the attention of the President to the Digital Rights and Freedom Bill currently undergoing the legislative process of becoming a law in her sister nation, Nigeria. The Digital Rights and Freedom Bill is also a monumental piece in what would be the history of Digital Rights in Africa and the new government is enjoined to initiate this same Bill (or one with a similar spirit) in Liberia. Thirdly, the new government is implored to review existing laws and policies which may potentially harm digital rights either because the provisions are too vague or are outrightly oppressive. Finally, we implore the President to work towards improving the internet penetration rate to ensure more Liberians are able to make use of digital tools. Once again, we commend the government and the people of Liberia for her efforts towards enthroning and sustaining democratic ideals that allow rights to thrive. *Adeboro Odunlami is Program Assistant, Digital Rights (Anglophone West Africa), at Paradigm Initiative. **Adeboye Adegoke is the Program Manager, Digital Rights (Anglophone West Africa), at Paradigm Initiative. 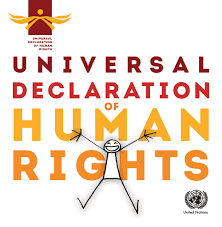 The Universal Declaration of Human Rights (UDHR), adopted by the United Nations General Assembly on 10 December 1948 (General Assembly resolution 217A), is the foundation for international human rights law. Its drafting shortly after the horrors of World War 2 by representatives from different legal and cultural backgrounds across the world sought to codify for future generations what rights humans all over the world should enjoy. Informed by the atrocities of Nazi Germany which only came to light in the final moments of the war, the UDHR was drafted as a part of a process that ensured that never it repeated itself. In relation to digital rights advocacy, Article 19 of the UDHR has been fundamental. It states, “Everyone has the right to freedom of opinion and expression; this right includes freedom to hold opinions without interference and to seek, receive and impart information and ideas through any media and regardless of frontiers”. And although we are many decades away from the destruction of the Second World War, in the 21st century we are currently enmeshed in another type of war – the war on Cyberspace. In this Cyberwar, state actors, the private sector, civil society and individuals are caught up in episodes of local and cross-country cyberattacks, cyberespionage, illegal surveillance, arrests of bloggers, journalists and ordinary citizens. This is particularly true for Africa where state actors have sought to extend the control they had over traditional media to new media channels in a bid to choke the emergence of dissenting voices. In light of the new reality that the battle for the defence of human rights has moved to cyberspace, on the 70th anniversary of the UDHR, Paradigm Initiative will work to ensure that the digital rights of people across Africa are protected. From our offices in Lagos, Abuja, Yaoundé and Blantyre, we will host workshops across the continent where local actors are trained on digital rights; we will convene the most important voices on digital rights in Africa at our Internet Freedom Forum and we will challenge the now perennial actions of governments which impinge on digital rights, amongst several activities. Our work in 2017 has been rewarding. As the year wound to an end, news emerged that the digital rights and freedom bill we have worked on in coalition with partners across civil society, government and the private sector had passed 3rd reading at Nigeria’s House of Representatives and now only requires concurrence at the Senate and Presidential assent to become law. 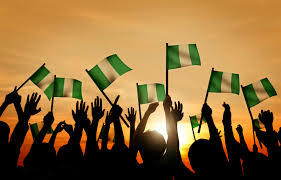 The effect of this positive bill of legislation, if passed into law, will be major for digital rights in Nigeria. This is the type of impact we hope to have in 2018, as we work to defend digital rights across Africa. The Digital Rights and Freedom Bill is a positive rights legislation which replicates and builds on the objective that the Universal Declaration on Human Rights was intended to serve. More importantly, it provides direct safeguards to new realities brought about by the contested cyberspace of the 21st century. The need for African countries to replicate this process is urgent because several African countries have an abundance of laws or legislation which seeks to repress freedom. The various forms of digital rights violations experienced across several jurisdictions in Africa over the years have been made possible because of existing repressive laws. While we will continue to work with partners across the continent to engage policymakers to push for repeals of some of these existing laws, we will also work with local stakeholders to introduce positive rights legislation across the continent. Although this might be perceived as an attempt to correct the ills of the past, it must also be viewed as a proactive approach to prevent violations in countries with fewer records of Digital Rights violations. The United Nations took an important step in June 2016 in recognizing Internet Rights as Human Rights in United Nations Human Rights Council resolution on the “promotion, protection, and enjoyment of human rights on the internet” which condemned countries which intentionally disrupt the internet access of its citizens. The resolution stresses that “the same rights that people have offline must also be protected online” particularly with regards to the freedom of expression already protected by Article 19 of the Universal Declaration of Human Rights and the International Covenant on Civil and Political Rights. 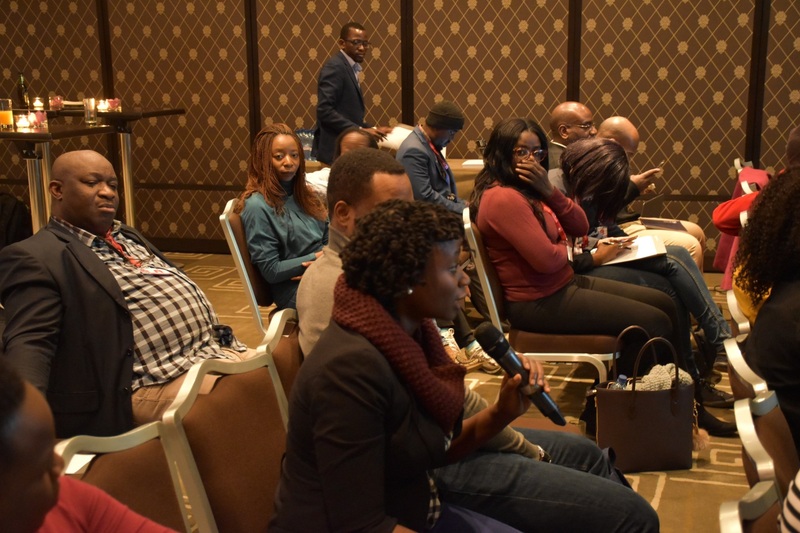 It is now expected of Digital Rights organizations, Human rights Organizations and Civil Society across the continent to work and engage the local processes in each country to ensure this is reflected in National Laws. 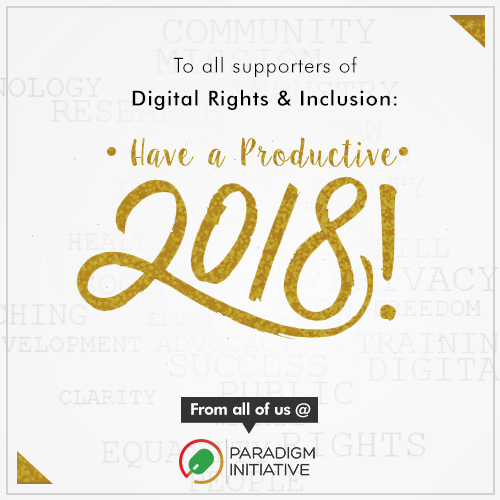 Paradigm Initiative is committed to this objective and we hope to train and partner with organizations in various African countries, offering our expertise, resources and time to make this possible, so that going forward, Africa will become a bastion and model for digital rights in the 21st century. **Adeboye Adegoke is the Program Manager (Anglophone West Africa) at Paradigm Initiative. At the beginning of 2017, Paradigm Initiative’s expansion plan took us back to the drawing board. From the search for team members – with the right mix of relevant expertise, local knowledge and context appreciation – to teaming up with new partners and expanding our existing coalition, we were able to extend our digital rights work into the rest of Anglophone West Africa, East/Southern Africa and Francophone Africa. We also deepened our digital inclusion reach within Nigeria, with the introduction of resident programs in secondary schools and tertiary institutions across the country. In addition to the hearty work put in by our team across offices in Aba, Abuja, Blantyre, Kano, Lagos (HQ and Ajegunle) and Yaounde, 2017 could not have happened without the huge support of our volunteers, partners and advisory board members – Prof. Pat Utomi, Dr. Jummai Umar-Ajijola, Dr. Aida Opoku-Mensah, Nick Jekogian and Dr. Seyi Adebayo-Olubi – who continue to advise, inspire and challenge us to do more. It was a year that came with opportunities for our digital inclusion program as we expanded our LIFE training program beyond the Aba, Ajegunle and Kano centres and took the program into 5 secondary schools in Abia, Lagos and Kano state. The LIFE@School program graduates can now join their colleagues who benefit from the 10-week digital readiness program to start entrepreneurial activities or get internships/jobs early based on new skills acquired. Our Techtiary program also added 5 tertiary institutions while the 2017 Techtiary Forum was attended by students from 27 tertiary institutions from five of Nigeria’s six zones. In 2017, the Digital Rights and Freedom Bill was passed by the House of Representatives and while we know that a lot of work must now go towards completing the legislative process and implementing the landmark positive rights legislation, we wish to thank the sponsor, Hon. Chukwuemeka Ujam, for his dedication and sacrifice. 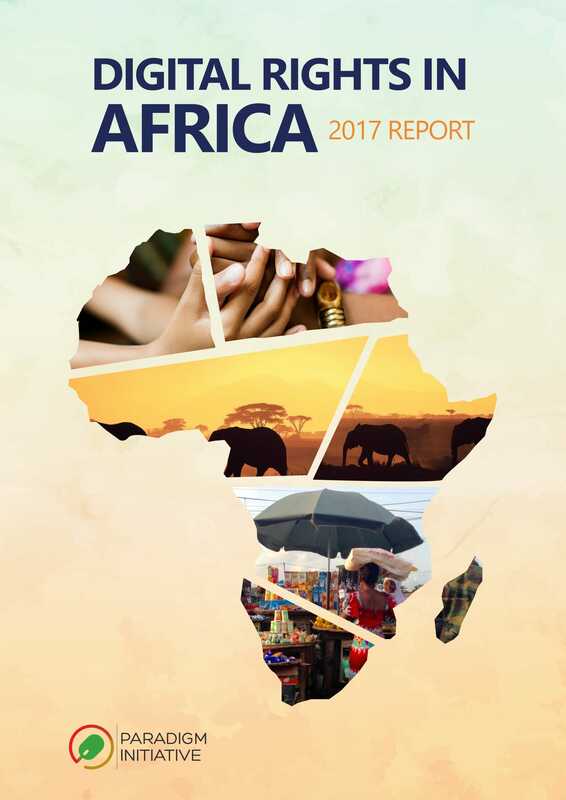 To end the year, our bi-lingual (English and French) Digital Rights in Africa report, featuring 21 countries across Central, East, North, Southern and West Africa, was launched on December 19 at the 2017 Internet Governance Forum in Geneva. Our annual Internet Freedom Forum, which held in April 2017, was attended by stakeholders from 33 countries! On behalf of the entire team at Paradigm Initiative, I thank all our partners for the continued support. While our focus is on impact and not numbers, we are glad to see that more under-served youth are getting connected to improved livelihoods through our digital inclusion and digital rights programs. As we embark on the 2018 journey, we look forward to your support. Together, we will have a most productive 2018. Daalu. E seun. Nagode.